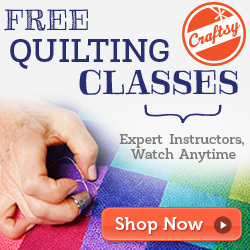 me and my 2 guys: Sew Mama Sew giveaway day! 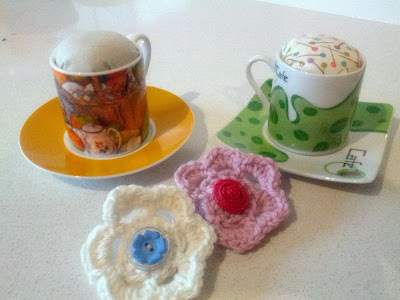 This time I would like to giveaway one of my cute tea cup pincushions to the winner and one of my crochet flower brooches each to two runners up. Entries are just via a comment on this post and they will close on Friday. Good luck! My daughter thought your flowers were very cute and wanted me to enter. What a cute idea for the teacup pincushions! Love those! those pincushions are so cute! Thanks for the giveaway. Thank you, the cushions are adorable. Hi, Bree. I could use another pin cushion, and yours are adorable! Thank you so much for sharing them. very sweet-i have a pincushion collection but none in a tea cup=adorable. cute giveaway! Love those pins on the pincushion! Those pincushions are just adorable! I collect pincushions but do not have a teacup one yet, so this would make a great addition. Thank you for the opportunity to win one. I just adore those pin cushions. I love the teacup pincushions! Thanks for the chance to win one. My mom loves the tea cup pincushions. Thank you for the giveaway! Those pincushions are so sweet! I drink tea constantly - hope I wouldn't drink my pins . .
Love the pincushions! Thanks for the giveaway! those are super cute. I love the green pincushion just my color. Those are cute. Added you to my follow listing. These are both adorable and I would happy to win either one! Thanks so much for participating and for offering such lovely prizes for us to win.